Turner Classic Movies are proud to announce that they've set March 26th to the 29th for the 2015 TCM Classic Film Festival, the sixth annual gathering of legendary stars, award-winning filmmakers and classic movie fans from around the globe. TCM has also unveiled the theme for the four-day event, which in 2015 will explore History According to Hollywood. The Old West. Medieval England. Ancient Rome. Hollywood has found endless inspiration in re-creating historical moments and bringing to life the heroes and villains of the past, creating a form of time travel for audiences through the ages and around the world. These films, however, are not always true to the historical record. Filmmakers have often created works about the past that are a reflection of the period in which they were made, or change facts to suit a particular storyline. The 2015 TCM Classic Film Festival will explore how cinema has shaped how we view – and remember – history. Serving for the sixth consecutive year as the official hotel and central gathering point for the 2015 TCM Classic Film Festival will be The Hollywood Roosevelt Hotel, which has a longstanding role in movie history and was the site of the first Academy Awards® ceremony. The Hollywood Roosevelt Hotel will also offer special rates for festival attendees. Screenings and events during the festival will be held at the TCL Chinese Theatre IMAX, the TCL Chinese 6 Theatres and the Egyptian Theatre, as well as other Hollywood venues. Also included into these festivities are a whole host of guest celebrities. These the include the likes of Dustin Hoffman, who will sit down for an extended discussion with Oscar® nominee and former co-host of TCM’s The Essentials, Alec Baldwin, following a screening of Bob Fosse’s Lenny (1974). Hoffman earned an Oscar nomination for his performance as comedian Lenny Bruce. Academy Award ®-nominated filmmaker Spike Lee will also present a screening of his acclaimed biographical drama Malcolm X (1992), starring Denzel Washington in one of his most celebrated performances. Film Editor Anne V. Coates, ACE will appear at screenings of her Oscar ®-winning work in David Lean’s Lawrence of Arabia (1962) and Steven Soderbergh’s caper Out of Sight (1998). Stuntman and Stunt Coordinator Terry Leonard will introduce and discuss two of his best-loved films, Steven Spielberg’s Raiders of the Lost Ark (1981) and John Milius' The Wind and the Lion (1975). In addition to the screenings of their films, Coates and Leonard will participate in detailed conversations about their careers at Club TCM. Hoffman, Baldwin, Lee, Coates and Leonard join several previously announced events and appearances at the 2015 TCM Classic Film Festival, including the 50th Anniversary opening night gala presentation of The Sound of Music (1965) with Julie Andrews and Christopher Plummer in attendance; an extended interview conducted by Robert Osborne with Sophia Loren, Captain James Lovell for the 20th Anniversary world premiere restoration of Apollo 13 (1995) and legendary entertainer Ann-Margret for a screening of The Cincinnati Kid (1973). What's more, TCM will also be welcoming Shirley MacLaine for an extensive celebration of her 60th anniversary as a film actress. The legendary star will be on hand for screenings of two acclaimed and groundbreaking films: Billy Wilder’s The Apartment (1960), which earned her an Oscar nomination for Best Actress, and William Wyler's The Children’s Hour (1961), for which she received a Golden Globe nomination for Best Actress in a Motion Picture Drama. MacLaine will also participate in an in-depth conversation about her storied career in Club TCM, the central gathering point for festival passholders at the Hollywood Roosevelt Hotel. AND NOW A WORD ON FONDA AND CO.
Actor and filmmaker, Peter Fonda, will mark the 100th anniversary of Henry Fonda's birth with a special three-part tribute. He will join bestselling author and critic Scott Eyman (John Wayne: The Life and Legend, Print the Legend: The Life and Times of John Ford) in Club TCM to discuss the senior Fonda’s character, style, career and very unexpected antic humor from the standpoint of a loving son who himself became a symbol for a generation. 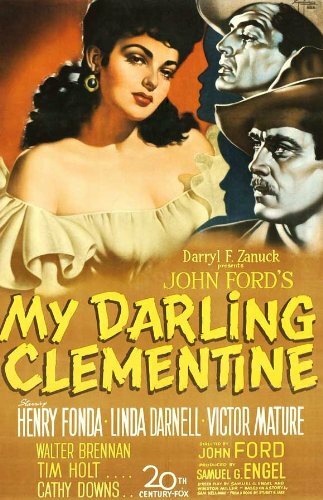 Fonda will also introduce screenings of two John Ford classics starring Henry Fonda: Young Mr. Lincoln (1939) and My Darling Clementine (1946). Stage, television and film actor, Robert Morse, will be at the festival to present a screening of Tony Richardson's The Loved One (1965), the outrageously hilarious satire based on Evelyn Waugh's novel about Hollywood and the funeral business. 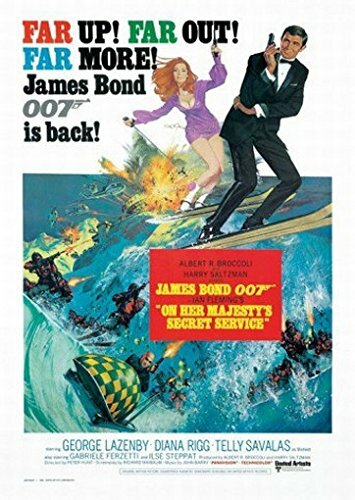 Australian actor, George Lazenby, will introduce a screening of the action-packed thriller On Her Majesty’s Secret Service (1969), in which he plays one of the most popular and enduring roles in movie history, James Bond. 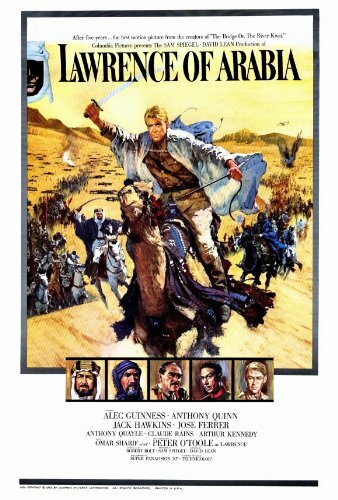 Peter O’Toole makes one of the greatest screen debuts starring in the title role of director David Lean’s epic about a bold young WWI British officer who unites Arab tribesmen against the mighty Turkish empire. 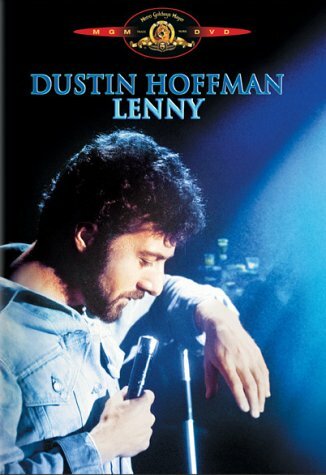 Dustin Hoffman received an Oscar® nomination for his performance in the title role of director Bob Fosse’s biopic of the groundbreaking and drug addicted standup comic, Lenny Bruce. Directed and co-written for the screen by Spike Lee and based on the autobiography by Malcolm X and Alex Haley, this epic drama earned Denzel Washington an Oscar nomination for his riveting performance in the title role as the still influential 1960s freedom fighter. Romantic sparks fly between an escaped bank robber (George Clooney) and a kidnapped U.S. Marshal (Jennifer Lopez) in this big screen adaption of the Elmore Leonard novel directed by Steven Soderbergh. Loosely based on early 20th-century events, director John Milius’ adventure film tells the exciting tale of an American woman and her children who are kidnapped in Morocco by Berber tribesmen and President Theodore Roosevelt’s maneuvers to free them. Sean Connery, Candice Bergen and Brian Keith star. 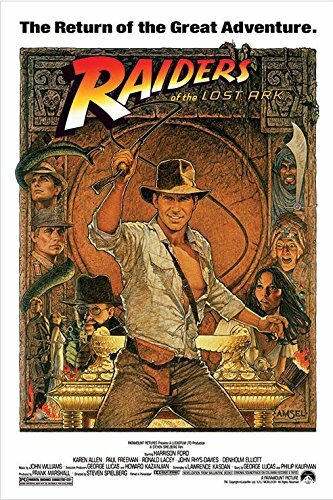 Steven Spielberg directs and Harrison Ford stars in this thrilling adventure about an archeologist who must find the Lost Ark of the Covenant before it falls into the hands of the Nazis and Adolf Hitler. 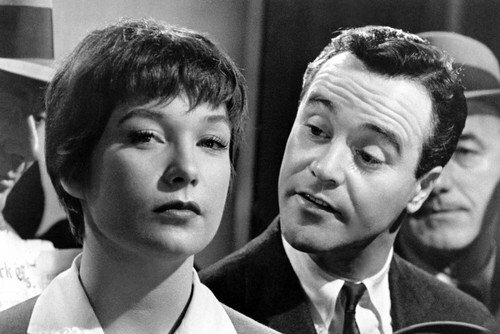 Jack Lemmon and Shirley MacLaine star in writer-director Billy Wilder’s story about an aspiring executive who lets his superiors use his apartment for assignations, only to find his climb up the corporate ladder won’t be as easy as he thought after he falls for his boss' mistress. Based on the Lillian Hellman play and directed by William Wyler, this gripping drama stars Shirley MacLaine and Audrey Hepburn as the owners of a private boarding school who stand to lose everything after a conniving student accuses them of being in a romantic relationship. 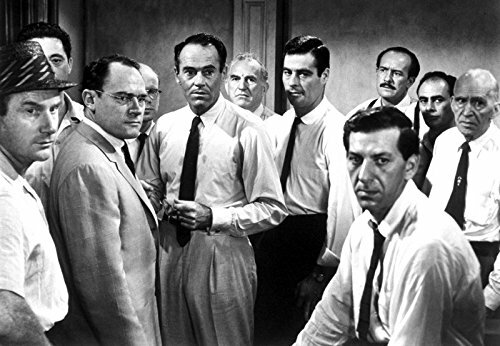 John Ford directs Henry Fonda in this fictionalized courtroom drama about the future president as a young, novice lawyer who must defend a man accused of murder. Henry Fonda stars in director John Ford’s Western about how Wyatt Earp and his brothers arrived in Tombstone, Arizona, and set the stage for the infamous shootout at the O.K. Corral. Robert Morse, Rod Steiger, Anjanette Comer and Jonathan Winters lead a sparkling cast in director Tony Richardson’s hilarious satire based on Evelyn Waugh’s novel about Hollywood and the funeral business. Peter R. Hunt directs and George Lazenby stars as 007 in the sixth installment of author Ian Fleming’s blockbuster James Bond franchise. This time, Bond must thwart the maniacal plans of the evil Blofeld (Telly Savalas) while romancing a beautiful Contessa (Diana Rigg). Passes for the 2015 TCM Classic Film Festival are on sale now and can be purchased exclusively through the official festival website: www.tcm.com/festival. The number of passes available, especially top-level "Spotlight" passes, is limited.